How did famous Poles, often thousands of kilometres away from their country, use their talent and position to push the Polish political cause and eventually help forge an independent Poland? A brilliant theatre actress speaking Polish in front of American audiences, a genius scientist who named her new discovery in honour of her homeland, and a mesmerising pianist who never missed a chance to speak about Poland. Here’s a look at three exceptional Polish emigrants who didn’t hesitate to turn their talent and position into a tool of political expression. Promoting the idea of an independent Poland at a time when the nation lacked any means of political influence, they did more for Poland than legions of politicians and statesmen. Helena Modrzejewska was likely the first Polish immigrant to hit the headlines on the other side of the Atlantic. She came to America in 1876 when she was already 35 years old. An accomplished actress in Poland, in America Modjeska (this simplified version of her surname became her stage name) was starting all anew. She learned English which she mastered thanks to a lot of hard work and determination. Within a couple years, she became one of the most famous actresses of her generation, touring America from one coast to the other. Yesterday I played an Ophelia scene in Polish, because I wanted to show the audience that our Poland is not so minor an issue, as they might think. Becoming an American citizen in 1883 did not change much in her stance towards Poland. She travelled to Poland to give performances, and generously supported Polish (and other) charity projects. In May 1893, at the World Congress of Women organised during World’s Fair in Chicago, Modjeska gave an impassioned speech about the situation of women in Poland. Words of critique towards the Russian regime resulted in a travel ban which prevented her from entering Russian territories, eastern Poland included. She would perform in nearby Kraków and Lviv instead. At the same time when Modjeska was touring America, in France another Polish emigrant Maria Sklodowska (better known as Marie Curie) was pursuing a brilliant career as a scientist in the new, uncharted fields of physics and chemistry. Skłodowska left the Russian partition of Poland in 1891 when she was 24. A brilliant student, she was not allowed to study at the Russian Imperial University of Warsaw. In Paris, she followed her dreams of studying physics and maths. And yet she too was not willing to forget where she came from. 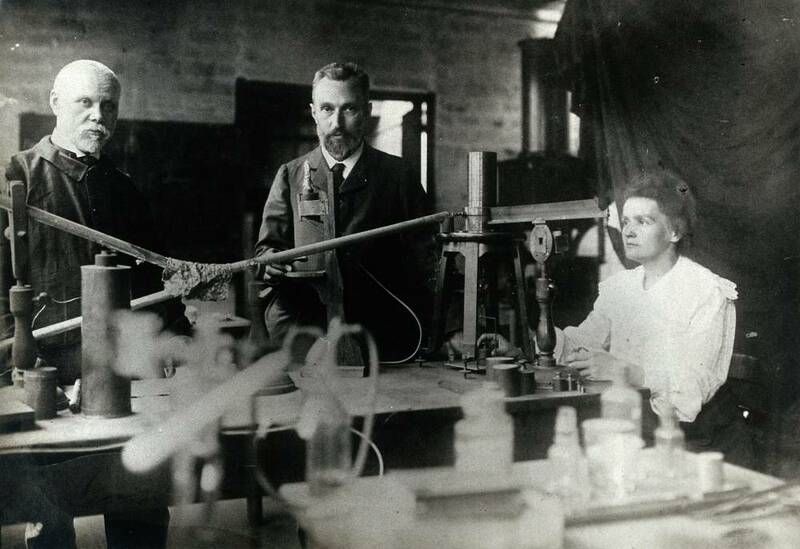 In 1896 together with husband Pierre Curie, she discovered a new physical element which, in honour of Marie’s homeland, they called Polonium – and for which they were later awarded the Nobel Prize. The decision to name their discovery in reference to Poland was an obvious political statement at a time when the name ‘Poland’ wasn’t even on the map (since 1867 the official name of the Russian partition was ‘Privislinski Krai’). This attempt to bring attention to Poland proved successful when the couple was awarded the Nobel Prize in 1902. Polonium may have been invisible to the human eye, but, just as Poland, it was definitely there. Polonium became the first chemical element named to highlight a political situation. And Skłodowska proved that science could be an efficient tool of politics and engagement. But it was Ignacy Jan Paderewski who took the idea of promoting the Polish national cause through art to a wholly new level. Paderewski left Poland in 1881 as a 20-year-old. Thanks to support from Helena Modrzejewska, he was able to continue his studies at the best music academies of Europe. But he soon set himself on a course to become one of the most successful performing pianists of all time, touring Europe and the Americas. From early on, Paderewski combined his pianist career with philanthropic activities. As a wealthy man, Paderewski generously donated to numerous causes and charities, funding scholarships for young musicians, endowing music posts and unemployment stipends, as well as donating support for veterans, rehabilitation clinics and maternity wards. As Paderewski’s biographer Adam Zamoyski argues, these contributions were never merely ‘symbolic’ – during his lifetime, Paderewski donated what amounts to tens of millions of dollars. This philanthropic activity would over time bring him closer to his compatriots, wherever they might have been. Paderewski financed numerous Polish activities, such as a Polish newspaper in Detroit, the erection of a Kościuszko monument in Chicago, Polish cultural activities in Vilnius, Polish student organisations at American universities, and he also sponsored a new department at the Jagiellonian University in Kraków. 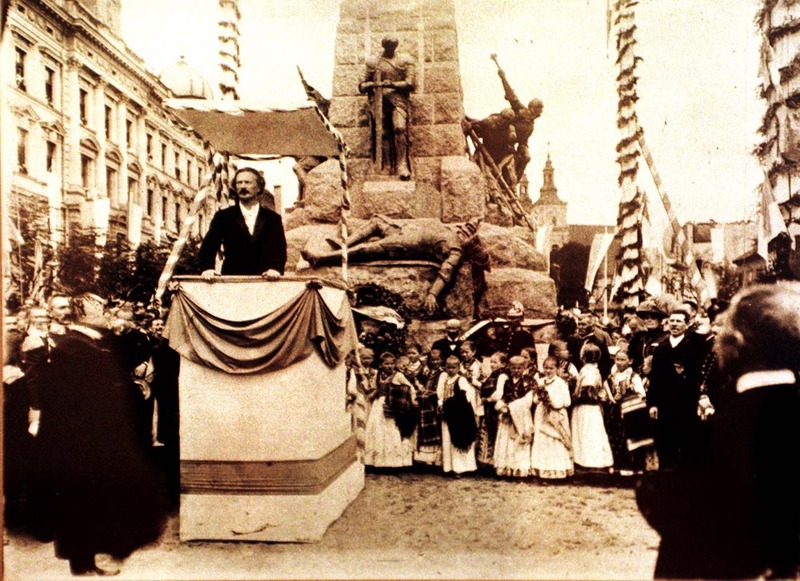 In 1910 in Kraków, Paderewski took part in the unveiling of a monument to the Battle of Grunwald – a project which he commissioned and financed. The ceremony, during which Paderewski made an inspired speech, turned into a huge patriotic demonstration with around 150,000 Poles in attendance. Poland was also present in Paderewski’s recital programme, with his performances obligatorily including pieces by Fryderyk Chopin, a composer whom Paderewski considered an epitome of the Polish national character. That music could be a dangerous political issue, Paderewski learned in 1899 in Moscow where the Polish pieces in the programme – works by Chopin and Paderewski – were met with jeers from the audience. At some point, someone had to call for the police to restore order. Paderewski’s own musical compositions featured Poland and Polish musical folklore prominently: from Danses Polonaises, and Tatra-Album, songs to Adam Mickiewicz’s or Adam Asnyk’s lyrics, to Polish Fantasy and the opera Manru, based on a novel by Polish author Józef Ignacy Kraszewski. One of Paderewski’s greatest achievements, his 1908 symphony Polonia, was focussed entirely on the history of the Polish nation during the last couple of centuries. Paderewski spent most of World War I in the USA pitching the Polish national cause (wherever he could), fundraising money, and forming a strong lobby from what was then a diverse and dispersed Polish-American diaspora. During this time, Paderewski’s concerts in the States turned into into pieces of political agitation… Each performance was accompanied by a short appeal for funds supporting the Polish national cause. Paderewski took every occasion he could to talk about Poland. His position and intimate friendships with many of the leading American statesmen got him in front of President Woodrow Wilson. Statesmen everywhere are agreed that there should be a united, independent, autonomous Poland. It was a direction which was later taken to its logical conclusion in Wilson’s famous Fourteen Points statement. Between April 1915, when he arrived in America, and November 1918, Paderewski gave around 340 speeches and about as many concerts. During this time the Relief Committee raised close to 9 million dollars. 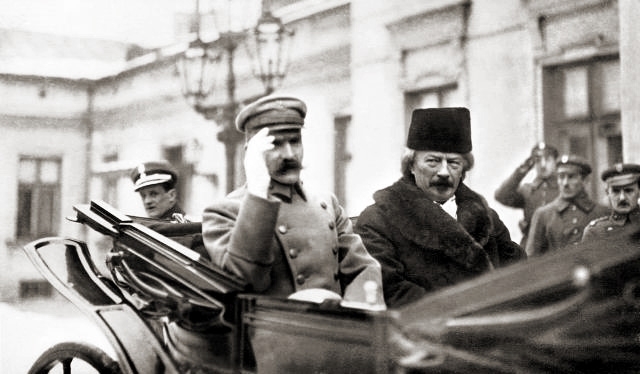 Arriving in Poland at the end of 1918, just after it had regained its freedom, Paderewski was celebrated as a symbol of the reborn country’s independence. His arrival in Poznań even led to the successful Greater Poland Uprising which affected the conditions of the Treaty of Versailles. In January 1919, Paderewski became Prime Minister of the resurrected Polish state, concluding a path that had taken him from performing musician to active politician.